There’s a lot that makes the Finger Lakes special– from waterfalls to wine to farm-to-table dining. With so many options, it’s worth it to have an expert guide. In the 10 years since its founding, the mission of Experience! The Finger Lakes has held steady. Each and every one of their tours is focused on enriching visitors’ experiences and sharing the bounty and beauty of the region. Offering a variety of regional tours, Experience! The Finger Lakes serves as a concierge, vetting out the best of the best and putting it in an immersive and fun format. Our region’s unique wine culture is the centerpiece of many of the tours they offer, but no matter what tour you choose you’ll experience a highly curated taste of the cultural, culinary, environmental and scenic beauty of the Finger Lakes region. The company also offers customized conference excursions, corporate tours, itinerary planning, and private and public wine pairing events like February’s Murder Mystery Dinner Theater at La Tourelle. If you’re embarking on a tour with Experience!, be prepared for some travel-time trivia about the region as you transit between tour stops. Tours are intimate and personal, capped at 14 people. No matter your itinerary, every tour starts out with an immersive experience– this is an opportunity to learn or taste something that the typical guest doesn’t. 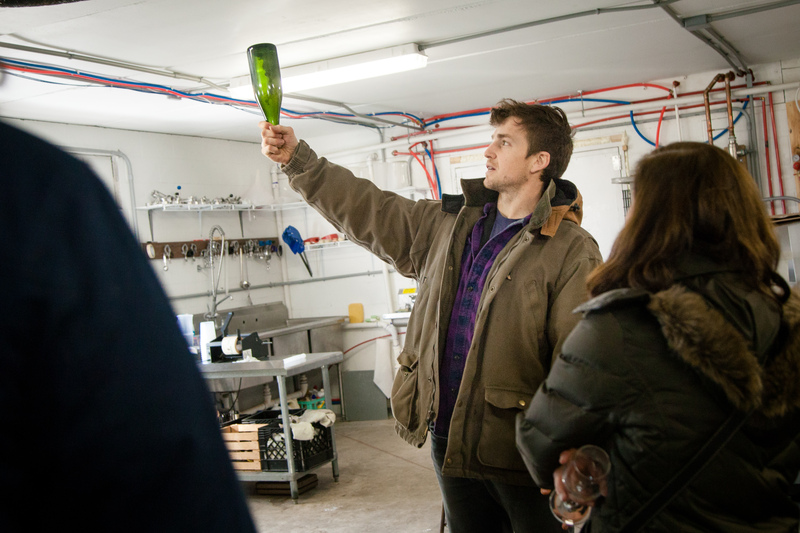 An exclusive tour of production facilities with the winemaker or tastes of ciders straight from the barrel truly showcase the authentic tastes the Finger Lakes has to offer. Winter is traditionally the off-season for tourism in the Finger Lakes but it’s also the slower season for farmers, winemakers, and other producers that work with the land. This means that the producers themselves have the time and energy to offer a more intimate experience. In the winter, the immersive elements of the tour have the opportunity to be more hands-on. For example, guests on a recent tour had the chance to create their own meritage blend in the cellars with the winemaker at Damiani. If you are visiting during the bustling harvest season, Laura recommends booking mid-week. This will give you the opportunity for a more immersive experience and personal interaction with the production process. Laura’s engagement with the Chamber of Commerce dates back nearly to the founding of her business. The on-the-job training grants available through the Chamber of Commerce have supported the growth and development of her staff on multiple occasions. 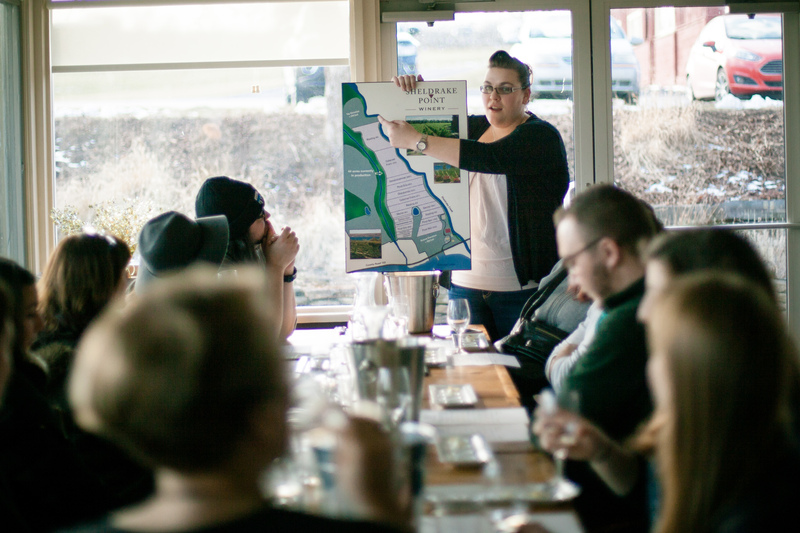 Many of the guides are pursuing sommelier certifications or degrees in wine marketing, and they’re all enthusiastic advocates of our region’s unique culture. The more they know about you and what you like, the more specialized your tasting becomes. Several years ago, Laura collaborated with the Chamber of Commerce on the “Insider’s Guide” Tour along with Warren Real Estate. 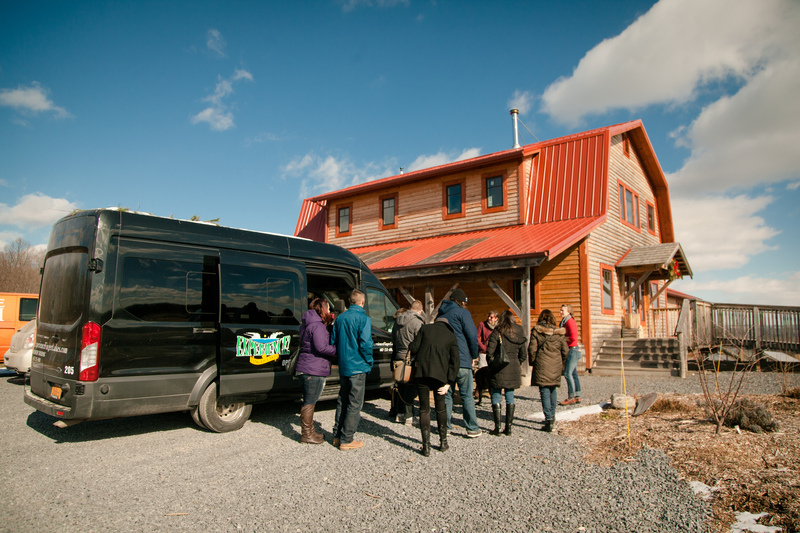 Initially offered to visitors touring the region with the intention of relocating to Tompkins County, the tour focuses on sharing insider tips and the experience of being an Ithaca local. Chamber staff approached Laura with the idea and they collaborated on the development of the tour, which is now available to the public. Dive deep into that culture with an authentic and intimate experience through Experience The Finger Lakes. Learn more at http://experiencefingerlakes.com/. Story and photos by Allison Usavage.